Re-Enter ‘The Matrix’! Looking Back at the Film That Changed Movies Forever! Have you ever questioned your own existence? We do the same routine day after day. We get up from bed, go to work, pay bills, have relationships, go on vacation, and go back to bed. Why can’t our lives be different? With the world of technology seemingly taking over our lives, we can enter another world via online gaming, virtual reality, social media and so forth, but what if the world of possibility was, in fact, a reality? Well, The Matrix is just that. A world where nothing is what it seems. The Matrix just turned twenty years not too long ago and is a really cool action movie in that the film also provokes thought and the concept of another reality. So, why was The Matrix such a success? How does it relate to the world of technology today? How has it aged over the years and where are all the payphones? The Matrix was a film that changed cinema and pop culture in many ways. Two sequels were released in 2003 but for its anniversary, we’ll only be talking about the first film in this franchise. The Matrix was groundbreaking for special effects as it was inspiring for the science fiction community since Stars Wars. It was 1999, the turn of the century. Y2K was always mentioned. People feared that the system would collapse once the clock struck midnight on the 31st of December and technology was becoming mainstream. Home computers were aplenty and video game consoles were in many households with kids excited to enter a world where fun and imagination could relieve them from the boring aspects of life like school and studying. Computer Generated Images were starting to make a splash on the movie market and just four years earlier, saw the release of Toy Story, a movie made entirely on computer. These images allowed near impossible worlds to become a reality for movie-goers to enjoy. 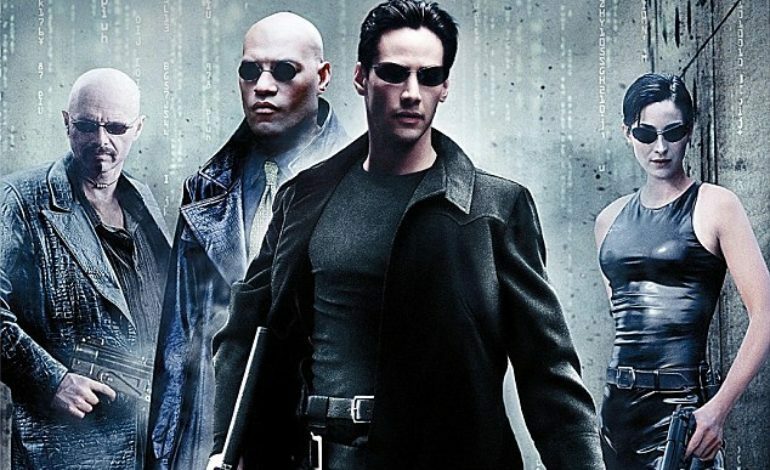 The Matrix told the story of a computer programmer, Mr. Thomas Anderson (Keanu Reeves), who is seeking a dangerous man known only as Morpheus (Laurence Fishburne). He believes that he can answer the question he’s been pondering for all of his life, “What is the Matrix?” His mind needed to wake up so that he can be set free from The Matrix. Once he wakes up, he realizes the stark reality. His quest leads him to discover the truth in that he’s enslaved by machines since the time they took control. Human civilization was completely destroyed. No cities remain; jobs, government, and money are essentially non-existent. The machines have taken over and Mr. Anderson wakes up only to see that crops of other people are all around him! A war between humans and machines decimated the planet, leaving humans to retreat far into the Earth to survive. 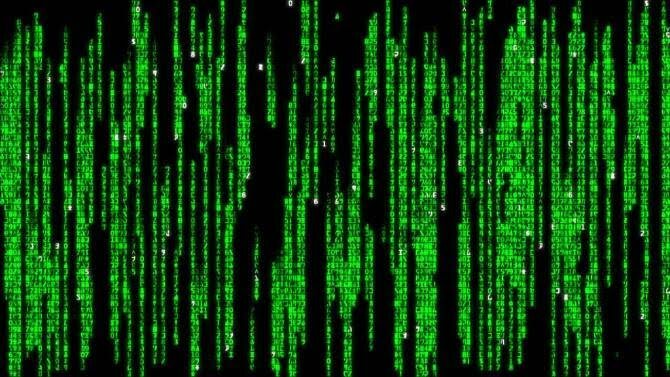 The Matrix itself is a computer simulation that represents the living civilization of mankind at their highest peak. The humans can enter The Matrix and can contact the living in order to “wake them up” and bring them back to reality. The only thing that these people don’t realize is that they’re living two-hundred behind the rest of the world. Once inside The Matrix, the rules of physics don’t apply. Much like a video game, the rules can be changed. You can wear whatever clothing you want, call up the operator and order a row of firearms, learn any fighting style in mere seconds by downloading the program, and can even jump from near impossible heights from rooftop to rooftop. The ideas are endless but one rule is clear, if you die in The Matrix, you die in real life. Your mind makes it real. Like any simulation, there’s always something that can make your task difficult and these are called “Agents”. Think of a bouncer at a nightclub who keeps things in order and once something goes wrong, he’ll throw you out. The only difference between the bouncer and the Agent is that the Agent will just kill you without warning. Let’s talk about one of these Agents. Without question, Agent Smith is one of the most recognized and memorable villains of the past twenty years in film. I always believe that a good villain is required for a good thriller or action motion picture to be successful. Think of it like this, the villain sets in motion the hero’s actions and if the bad guy isn’t cool or interesting, then the story itself wouldn’t be either. Portrayed by Hugo Weaving, who delivers an exceptional performance, Agent Smith is perhaps the most interesting character in the entire film. He isn’t overused, but present enough to make quite an impact. Sure, he can fight and shoot his Desert Eagle with intent to kill, but I think it’s the words he says that make him so interesting. He’s a computer who’s aware that he is one and wants nothing more than to be free, just like the humans. He displays a near lack of emotion when talking, not to mention that his shades block out his facial expression as seen through his eyes. When he takes Morpheus hostage, the conversation he has with him is a fascinating listen in my opinion and is one of the best moments from the film. All the action, fight scenes, and explosions are cool to watch but listening to Agent Smith talk is the highlight of the film for me. Despite its deep story and ideology, The Matrix is known for its impressive action. Simply put, this film handles action and special effects in the best way. Instead of relying on special effects to tell the story, the Wachowskis use the CGI to enhance the story-telling. Personally, I think that a lot of action films rely too much on CGI instead of developing a story first. It’s not wrong to do that but I prefer the other way. Although it’s rather ironic that as the franchise developed, special effects took the front seat to the story (which was sad). Even the fight scenes are so well choreographed as to not require the excessive use of the cut–after–cut approach which can make for a dizzying experience. The subway brawl, the lobby shootout, and the first encounter between Morpheus and Smith are great examples of how to handle action properly. The Matrix not only brought with it a great story, cool characters, and a unique world, but also the special effects were mind-blowing for their time. Even watching the movie in the modern era, the effects don’t look aged and somehow look better today than those in any other superhero film or anything that Michael Bay is involved with. When Neo first learns the truth and enters The Matrix, I felt as if I were standing on a blank canvas and anything that I wanted could be done with the touch of a couple of computer keys. Even the explosions look great and being able to see a row of weapons fly past you is a moment I won’t soon forget. Of course, I didn’t see The Matrix when it first released but I knew someone who did. When I asked him what he thought of it, here was his response, “It’s unlike anything I’ve seen before.” That’s exactly true. The action, the special effects, the original and creative ideas that were introduced all made The Matrix a hugely successful film. Does anyone remember the cell-phone that was introduced? If they became available to buy tomorrow, I wouldn’t hesitate to get rid of my touchscreen phone in favor of that one. The Matrix toyed with the idea of virtual reality and artificial intelligence, something not entirely new, but nowhere as popular today as it was back then. Sure, we have all of these things today but somehow when I think of them, I tend to think of The Matrix. If released today, I think the film would still be a success, but the story wouldn’t have the same impact. Perhaps it was the turn of the century that had something to do with it. Today the idea would still be cool, but as a new film, it wouldn’t be as groundbreaking today as it was twenty years ago. With Neo, Morpheus, Trinity, and Agent Smith, The Matrix has a lot of cool characters inside its world of wonder and it’s all thanks to the Wachowskis. Their vision was stellar, original, and probably still one of their best works. Sure, the sequels never matched in caliber, but at least we got the first film. It has aged well, being twenty years old and still as impressive as ever. Based on my analysis of the action, special effects, and my favorite character, Agent Smith, The Matrix is a ride worth taking if you haven’t seen it. It would’ve been nice if the film was re-released back into theaters. Seeing it at home is passable but nothing compared to the big screen. Over the years, I’m sure you’ve noticed that the payphones are slowly disappearing. Is this a sign? Are we going to be waking up soon? Recall that the only way to get out of The Matrix is by heading to the nearest landline phone. Although you could always run over to your co-worker’s desk if that was an option. If you ever see the white rabbit, be sure to follow it. You never know what could be waiting for you on the other side. Just one more question, would you take the red pill or the blue pill?